Women have played active, prominent roles in Boston history since the days of Anne Hutchinson - the colonial freethinker who bravely challenged the authority of ruling Puritan ministers in 1638. Hutchinson's action is only one of more than 200 stories of Boston women told in the newly expanded guidebook from the Boston Women's Heritage Trail. 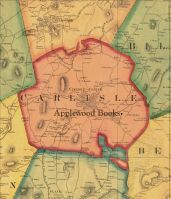 Several maps indicate the sites where these historic women walked, worked, and lived, while photographs and other illustrations help bring these women to life once again. The updated guidebook will take you on seven walks through seven distinctly different Boston neighborhoods. Hutchinson's story is told by her statue on the grounds of the Massachusetts State House, while Rose Fitzgerald Kennedy's is found at the site of her birthplace in the North End. An underground railway stop on Beacon Hill reveals the dramatic escape of enslaved Ellen and William Craft to Boston. Other trails lead walkers to new statues of Underground Railroad conductor Harriet Tubman in the South End and of Abigail Adams, Lucy Stone and Phillis Wheatley - three women who used the pen for change - portrayed in bronze in the recently dedicated Boston Women's Memorial on Commonwealth Avenue. 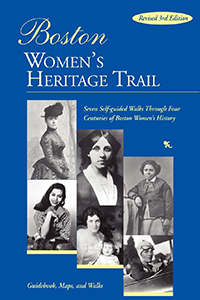 The Boston Women's Heritage Trail guidebook is a must for visitors, students, and residents of Boston alike. Its lively descriptions show the significant role Boston women played in shaping the history and the future of both Boston and the nation.